For most people the idea of a shark attack is enough to make them never want to enter the ocean again! For others though, even after being attacked by a Great White they still willingly hop back on their surfboards. Are they crazy? Probably but their stories are truly unbelievable. Way back in the 60’s Fox was a keen spear fisher and surfer. 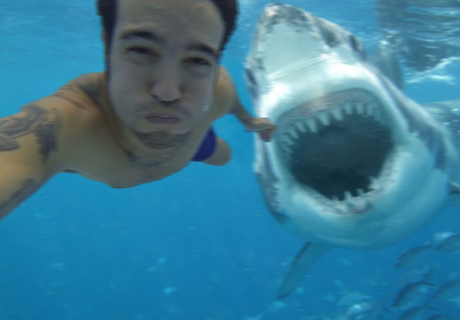 So it wasn’t uncommon for him to spend hours deep under the water, one day he had only been under minutes before he was attacked by a monstrous great white. Instead of giving in though, Fox fought back and ended up riding on the back of the great white before being rescued. Rather than live in fear of the beasts, Fox started up a diving company and now makes a living from the sharks. 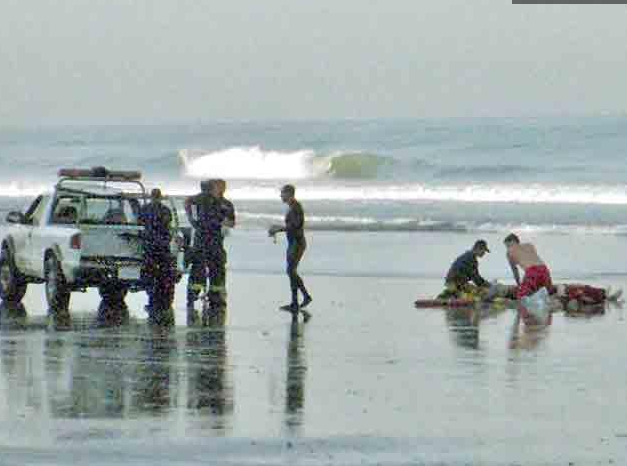 Now, this attack is said to have been the catalyst behind why people started fearing sharks. Way back in the 1700s a young boy only 14 years old was swimming in Havana Harbor when a shark attacked him. The moment was immortalised in a now infamous oil painting and the story was published several times on and off for thirty years. Brook Watson (the boy who was attacked) ended up becoming the Lord Mayor of London. This story is so unbelievable, Hollywood made a movie out of it. 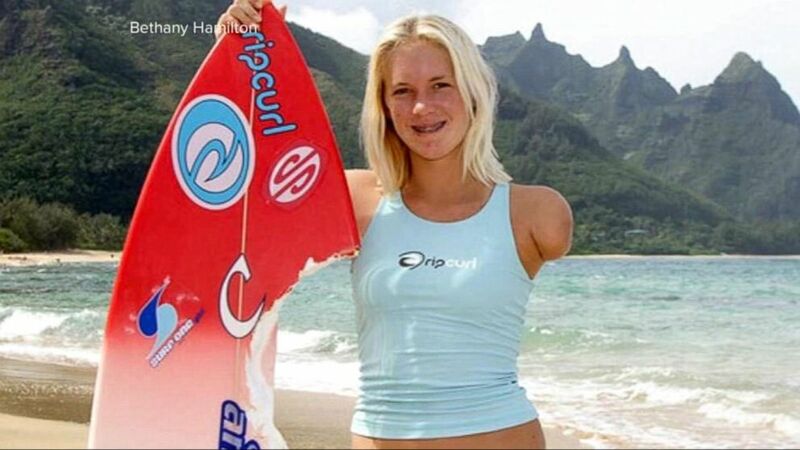 Bethany Hamilton was only 13 year olds when she was lying on her board waiting for a wave when a shark ripped her arm from the shoulder. Hamilton had already lost nearly 60% of her blood and as a result she had to have her arm amputated. Don’t worry though, that didn’t stop her from continuing with her surfing career. This one made records, seriously! For being the very first shark attack in Californian history. In 1952 Wilson was swimming about 30 feet from shore when he the attacked started, witnesses are reported to have said it was brutal with the shark almost appearing to play with its victim. 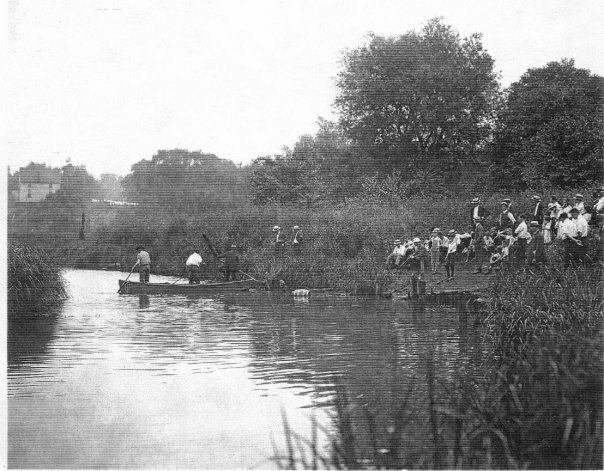 Wilson’s friends were brave and battled the current for 30 minutes just to bring him in. Sadly, he was dead by the time they reached the sand. For anyone who has ever seen the notorious movie the thought of it having been in inspired by true events is enough to make you never want to go to the beach again. In 1916 the Jersey coast was attacked by two bull sharks who terrorised local swimmers for nearly two weeks. Four people were killed and more were injured, plus there was an outbreak of polio at the time so it really wasn’t a good summer for Jersey. 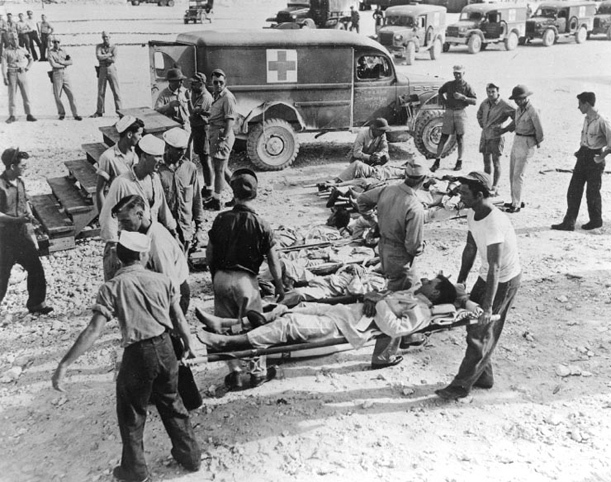 After surviving the sinking of their vessel by the Japanese in 1945, the sailors on board the USS Indianopolis thought that the worst was over. They were wrong. As the bobbed helplessly in the shark infested waters for days, the sharks fed on their comrades. By the end of the feast nearly 150 people were said to have been eaten alive. 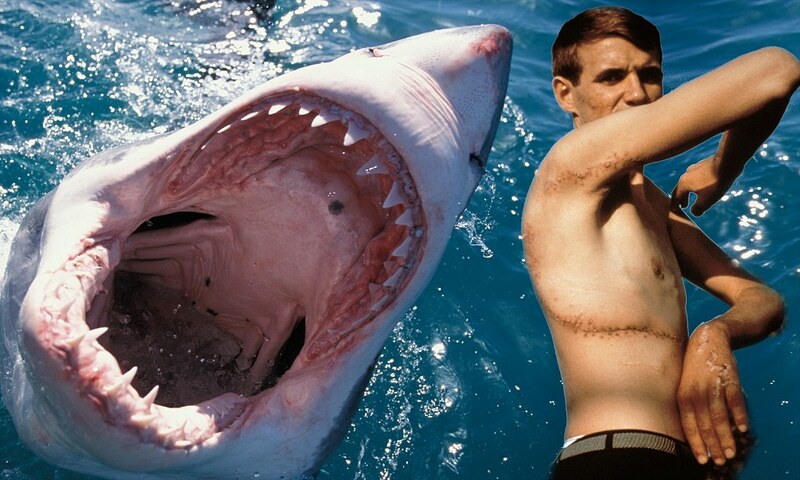 Pamperin’s story is particularly strange because some believe he was completely devoured by the shark. The Abalone diver was swimming with his diving partner when they drifted off course and into the mouth of a great white. His friend decided to call for help and head for shore but by the time scuba divers began the search, there was no trace of Pamperin’s body. The mother of three was happily hunting for scallops in 1985 when witnesses report seeing a 20 foot great white leap out of the water and rip Durdin’s body to bits. By the time rescuers actually got in the water there was barely a leg to find. Her family who was watching the incident unfold recall seeing their mothers head being decapitated – seriously. Just weeks after the attacks on the Jersey Shore coastline, the same sharks believed to be responsible for those killings were thought to have been the killers of more people at Matawan Creek. This was at a time where shark attacks weren’t common and people were sceptical whether or not this predator could actually kill a human. By the end of 1916 four people had been killed and a manhunt was underway for the killer sharks, one young shark was pulled from the water and human remains found in his stomach. While all these attacks were no doubt terrifying for everyone involved, this one is just plain sad. While on their honeymoon in the Seychelles, Gemma Redmond witnessed her husband being killed by a shark just off shore. She was so panicked that she had to be restrained from running into the water to help. Make sure you SHARE this terrifying stories with your friends!